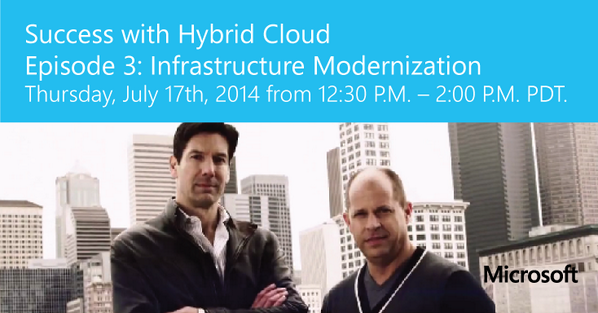 Get ready for the next Webinar in Success with Hybrid Cloud Series scheduled this July 17 2014. You can access my earlier blog post here to gain access to the previous Webinars available on demand. 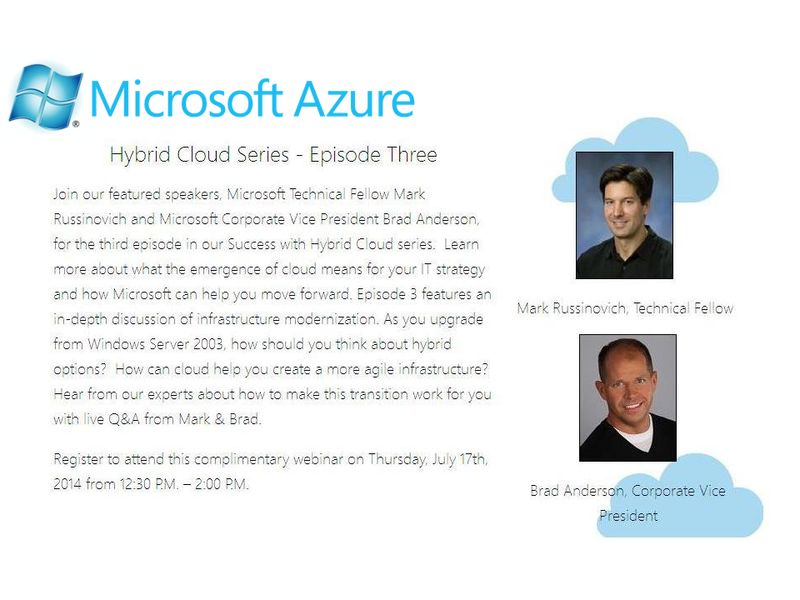 This Episode 3 in series is quite a vital one to attend as Mark and Brad will cover the key aspects on hybrid cloud options available for customers who migrate from Windows Server 2003, which is reaching its end of support by next year July 2015, Also other key discussions are on the way over Infrastructure Modernization to give you clear understanding on Microsoft Hybrid Cloud Strategy to take your IT Infrastructure to the next level.